Ribas Associates consultant/trainers all have over twenty years of teaching and/or administrative experience in public and private schools. Their practical background is supported by a comprehensive knowledge of the latest findings in educational research. As a result, all programs contain the current, proven strategies of classroom teaching and administrator practice. Click on the consultant’s name for the consultant’s biography. Dr. Ribas has over 30 years experience in pre-K–12 education. Dr. Ribas consults to school districts on evaluating and improving their supervision and evaluation programs and also provides training and coaching for building-based and central office administrators in supervision and evaluation. Dr. Ribas also evaluates new teacher mentor and induction programs in school districts, having trained hundreds of mentor teachers and teachers in their first two years in a district. Dr. Ribas taught elementary grades 2–5 and middle school grades 6–8. During that time he served as a teachers’ association officer in the roles of grievance chair, negotiations chair and vice president. Dr. Ribas has been a curriculum coordinator, a vice principal, principal and a director of pupil personnel services. For seven years, he served as the assistant superintendent for personnel for the Brookline, Massachusetts, Public Schools with responsibility for the supervision and evaluation of teachers and administrators in grades Pre-K–12 and the recruitment, hiring, mentoring, and induction of all newly hired teachers. Throughout his career, Dr. Ribas personally evaluated or supervised the evaluation of over a thousand teachers, administrators, nurses, counselors, school librarians and other professional support staff and paraprofessionals. Teacher Supervision and Evaluation That Works! Carol has 35 years of experience in teaching and administration. 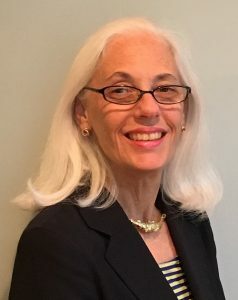 After beginning her teaching career in a private, residential treatment center for students with special needs in Pennsylvania, Carol has served as a teacher and an administrator in the Brookline, Westwood, and Northampton Massachusetts, Public Schools. During her time as a teacher she served as president of the teachers’ association, grievance chairperson and a member of the negotiating team for both teachers and administrators. After completing five years as the vice principal in a K-8 school, she served as a middle school principal and director of human resources. During her tenure as principal, she and her staff successfully completed a self-study and was awarded NEASC accreditation. Carol most recently served as Assistant Superintendent in the Wellesley, Massachusetts, Public Schools. Her responsibilities in Wellesley included bargaining, human resources and long range planning. In her various roles, Carol has been responsible for recruitment, hiring, and induction and mentoring of new teachers, as well as professional development and supervision and evaluation of professional staff. 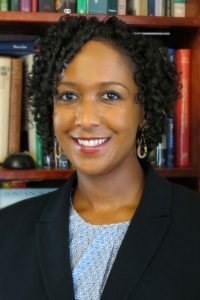 In addition to completing the University of Massachusetts’ Dispute Resolution Program, she has experience with contract negotiations and conflict resolution in three different communities. During her career she has represented both labor and management at the bargaining table. Cynthia began her career in education 37 years ago. Thirty-three of these years were in the Newton, MA, Public Schools, first as a teacher and then in administrative roles. As Mentor Director in Newton, she sought to support and retain new staff while also energizing and affirming the expertise of veterans. Later, as an Elementary Principal for 15 years, she was influential in both curriculum and staff development within the district. Her expertise focused particularly in literacy and a standards-based educational model. As an educational leader, she focused on refining practice through embedded professional development, consistency of focus, and distributive leadership. She believed in actively engaging students in their learning through self-reflection, and goal setting. Cynthia’s recent role was that of Assistant Superintendent in Burlington, MA. As Assistant Superintendent, she implemented new initiatives as she focused on Global Education, Literacy across the curriculum, and coaching models. Through math coaches, math tutors, and reading specialists at the elementary level, she worked to deepen content knowledge and build capacity among staff. At the secondary level, initiatives included developing and offering dual certification courses through collaboration with local colleges, and the creation of a Global Competency Certificate. Cynthia also continued to implement and support other curriculum and professional development efforts to broaden World Language, integrate global studies, and develop a senior capstone project. Cynthia received a B.S.in Elementary Education/Psychology from Skidmore College and an M.S. in Education from Wheelock College. She has done additional post-graduate work in Education Administration at Boston College. 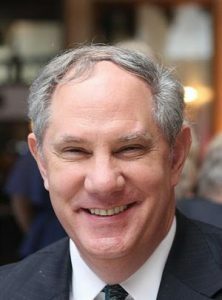 Dr. Paul Ash recently retired as the Superintendent of Schools in Lexington, Massachusetts after ten years. During his 42-year career, Paul has held a wide range of school leadership roles: Superintendent of Schools, Westwood, MA; Assistant Superintendent for Personnel, Finance, and Administration, Wellesley, MA; Chair of the Legislation Committee, Massachusetts Association of School Superintendents, President and Negotiations Chair, Dover-Sherborn Teachers Association, Dover, MA; President of the Massachusetts Association of School Personnel Administrators, and Member of the Newton School Committee, Newton, MA. Paul is a recognized expert at the state and national level on closing achievement gaps for minority, special education, and low-income students (three podcasts, https://edtrust.org/extraordinary-districts/), human resources/labor relations, financial operations, and professional development. In 2010, the national newspaper Education Week highlighted Lexington’s professional development program as one of six national models on how professional learning can be used to improve student learning and teacher innovation. In 2015, his leadership in the area of professional development was further highlighted by the Massachusetts Department of Elementary and Secondary Education (http://www.doe.mass.edu/pd/casestudies/LPS-study.pdf). Paul is the co-author of the highly acclaimed book School Systems That Learn: Improving Professional Practice, Overcoming Obstacles, and Diffusing Innovation. The book focuses on how any school district can raise academic achievement for all students by creating an adult learning organization based on trust, collaboration in all directions, capacity building and leadership at all levels. In the private sector, even the best leaders receive coaching from expert practitioners who can help them enter a new job, develop a strategic plan, build new teams, and overcome major obstacles. As your coach, Dr. Ash can help school you more effectively lead your school systems and get results. Currently, Dr. Ash is coaching principals and central office administrators in multiple school systems. Paul is a high-energy consultant who is ready to help school and district leaders improve student learning, leadership and professional relationships. Lexington Instilling a Growth Mindset from Ribas Associates & Publications on Vimeo. 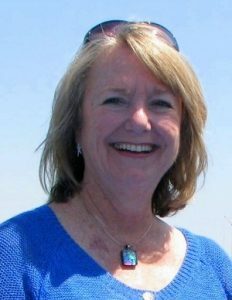 With over thirty years in public and private education, Debby Brady has had experience both as a teacher and administrator. Deb has served as an Assistant Superintendent in two districts, a college teacher and director of a writing/learning center, a secondary reading and English teacher. 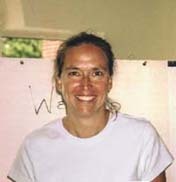 In addition, Deb has served as a Director of a Learning Center at Dean College, and as an adjunct professor at Lesley College, Assumption College, Worcester State College, and Fitchburg State College where she taught both graduate and undergraduate courses in curriculum, reading, literacy, and writing. Deborah earned her doctorate at Lesley in educational studies where her research focused on the impact of a standards-based curriculum on teaching, learning and assessment. 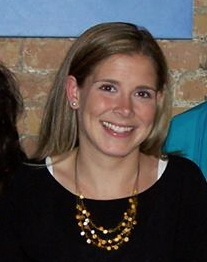 Her special areas of interest include curriculum assessment, development, and improvement; instructional leadership; assessment and the use of data that improves instruction and student achievement; building the capacity of a district through collaborative work within professional learning communities, data teams, and administrator collaboration; writing and its assessment; and literacy. Deborah has 23 years of teaching and administrative experience that spans pre-school to grade eight. She has been a classroom teacher in the Harvard University Business School Pre-School in Cambridge, MA, the Dalton School in New York City, and the Brookline Public Schools in Brookline, MA. She has also worked as a private tutor specializing in language arts and mathematics remediation and extension. Deborah has served as a district-wide coordinator of programs for the gifted and talented and as a resource teacher for regular classroom teachers and students in the area of gifted and talented education. In these roles, she coached teachers in the use of differentiated instruction to effectively meet the needs of the highest performing and lowest performing students in classroom. Elayne has 30 years of experience in teaching and administration. She has taught at both the elementary and middle school levels and has also served as English Department Chair and Team Leader. Her administrative experiences include positions as middle school Vice Principal and elementary Principal, and currently, she is the pre-K to 12 Director of Curriculum for the West Springfield Public Schools. Elayne also serves on the Westfield State College Steering Committee for the CENTER for Teacher Development. 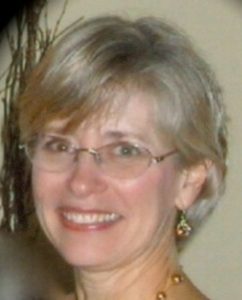 Elayne’s expertise includes brain-based instructional strategies, application of graphic facilitation in meeting planning, curriculum mapping, teaching in the standards-based classroom and strength-based coaching. She has facilitated numerous teachers’ workshops on topics such as positive classroom management, effective teaching, transitioning to middle schooling, and curriculum mapping. Dr. Cataldo has worked in the field of education for 35 years, serving in both public and private schools. She taught for sixteen years prior to transitioning to the central office and has been a Special Education Coordinator and Special Education Director. During the last decade she has been both an Assistant Superintendent and Superintendent. Her experience in the public schools includes districts ranging from urban to suburban. In her last position as Superintendent, her district received national recognition for their high performance. Dr. Cataldo gained a reputation for revamping special education departments, employing cost saving measures while increasing service delivery to students. She wrote curriculum to assist adolescents with executive functioning needs and created technology plans to assist special education students with learning. She has trained teachers in the area of team teaching and offered training for paraprofessionals and substitute teachers. Reading is a primary focus for Dr. Cataldo. She has given workshops on reading development and comprehension both at the local and national level. Dr. Cataldo has served in numerous roles supporting the field of education. 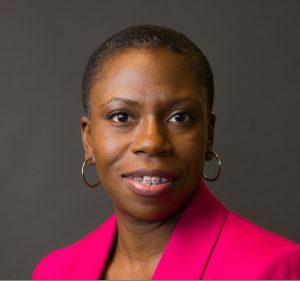 She has been Chair of the Board for South Shore Educational Collaborative, a member of the Professional Development Committee for the Massachusetts Association of School Superintendents, and worked with the Bi-Co Collaborative. Additionally, she has been a Wilson Language Trainer for seventeen years, a speaker for Understanding Our Differences, an adjunct instructor in the area of assessment, an independent presenter and special education advocate. Dr. Cataldo values the benefits of collaborative relationships between schools and school boards, faculties, and parents. Roseli Weiss has been a leader in public and private education for over 40 years. She started as a classroom teacher, and moved to leadership positions including Director of Gifted and Talented Services, Director of Curriculum and Instruction, Principal in schools of varied sizes, Assistant Superintendent of Schools and finally, Superintendent of Schools. She has worked in urban, suburban, and rural school districts. She carries Masters degrees in Counseling Psychotherapy and Elementary Education, and an Ed.D with focus on Curriculum Design, Educational Leadership and Critical and Creative Thinking. Alongside her primary roles in education, Roseli has been an Adjunct Instructor at Leslie University and Simmons College, and an independent lecturer, workshop leader, and consultant. With Ribas Associates Roseli works with teachers, paraprofessionals, and administrators in the areas of effective instructional and clinical practice, educator evaluation, curriculum, and assessment. 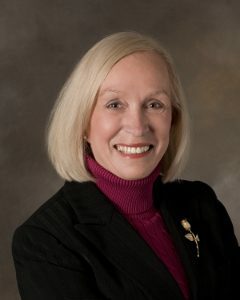 Dr. Greer began her career as a special education teacher in Nashville, TN. She has served as a teacher, instructional coach, and district leader in the two largest school districts in Tennessee. She has also been recognized for the work she led in coordinating after school and summer programs in underserved communities in Nashville. In 2013, she was afforded the opportunity to become a leader in one of the most progressive school districts in the nation. As a standout leader, Dr. Greer has implemented the continuous improvement model to create educational structures focused on closing the achievement and opportunity gaps for students. She is a calculated risk-taker with deep knowledge and skills in leadership development for principals and teachers, gifted education, Universal Design for Learning and Special Education. Dr. Greer’s core values of integrity, service and commitment sets her apart as a top visionary leader amongst administrators, teachers, students and families. In 2016, Dr. Greer was appointed to the Advisory Council for the Center for Digital Education. She was also nominated for the Visions of the Community Award in 2015 and was named Cambridge’s Who’s Who Amongst Professionals and Executives in 2010. Presently, Dr. Greer serves as the Assistant Superintendent of Student Services for Cambridge Public Schools in Massachusetts. She just completed the first of several white papers with the Center for Digital Education entitled “Making Blended Work.” She is a co-author of the Ribas Associates book, Instructional Practices That Maximize Student Achievement: By Teachers, For Teachers. Ailis Kiernan began her educational career teaching in an immersion model bilingual program at the American School of Asuncion in Paraguay, South America. While there, Ailis taught kindergarten, third grade, and middle school math. She was chosen to lead the K-12 teacher team in the development of the school’s first ESL support curriculum. Upon her return to the United States, Ailis continued to work as a teacher while attending Suffolk University Law School evening program. She earned her license to practice law in 1999 and worked as a legal consultant before returning to the classroom as a Boston Public Schools (BPS) 6th grade English Teacher. As a BPS educator, she held a variety of positions. Ailis was a classroom teacher for fifteen years. She later worked as Boston’s district director for the Advanced Work Class Program (AWC) and AVID (A College Readiness Program). In this role, she oversaw the curriculum and implementation of these programs in more than forty Boston Public Schools. One of her responsibilities was to provide district-wide professional development on topics such as critical reading, analytical writing, culturally relevant teaching and the inquiry-based classrooms. Currently, Ailis has joined the BPS Recruitment, Cultivation and Diversity Team as a New Teacher Developer. The teachers she supports are candidates for ESL, Moderate Disabilities and/or Elementary Licensure. She observes the new teachers and provides feedback on their lessons. As an observer, Ailis wants to see that the teachers’ lessons are rigorous, relevant, and challenging for all of the students. She supports her mentees in creating and implementing lessons with high expectations and differentiation so that every student is engaged and successful in meeting those expectations. Jenny Deane has a Ph.D. from Boston College in Curriculum and Instruction with an emphasis on math and literacy education in the elementary and middle school classroom. She was a teacher in Braintree, MA, where she was chosen as Teacher of the Year. She was also a classroom teacher in the North Reading, MA, and Needham, MA, Public Schools. She presently works as a mathematics resource teacher in the Needham Public Schools. 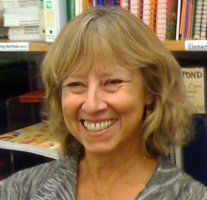 Jenny has been influential in developing materials and training teachers to extend and remediate mathematics teaching. She also assists teachers with integrating mathematics and literacy. Her publications include the article “Daily Journals Connect Mathematics to Real Life Mathematics Teaching in the Middle School,” the Journal of Mathematics Teaching in the Middle School, and she is a co-author of the book, Instructional Practices That Maximize Student Achievement: For Teachers, by Teachers, in which her particular areas of focus are differentiated instruction, mathematics specific pedagogy and literacy-specific pedagogy. Jane Hardin began her career as a public school teacher teaching both general education and special education. During her time as a resource room teacher, her program was selected as an exemplary model by the National Council for Exceptional Children. For the last 20 years, Jane has been a member of the Simmons College Faculty, supervising and training student teachers and interns who are going into the field of special education. In addition, she has served as a consultant for a variety of school systems both locally and nationally and was a board member of the Massachusetts Council for Exceptional Children. Jane is also a published author. Jane’s B.A. is in general education and she has a M.Ed. in Teacher of Children with Special Needs. 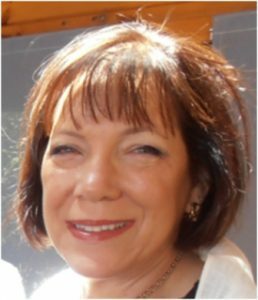 Jane’s areas of training and consultation include Response to Intervention, Classroom and Behavior Management, The Changing Face and Needs of the Student with ASD, Teaching Students with Emotional and Behavioral Issues, How Anxiety Impacts the Learning Process, What Educators Need to Know About TBI. Lyndsey is a special education consultant who services central and western MA districts. She has 9 years of experience working with students with disabilities ages 8-22 in both home and school settings. She has worked in both private and public schools as a special education classroom assistant, a vocational coordinator, a special education teacher, a behavior analyst, and a life skills teacher. In addition to her work with Ribas Associates, she works for Westfield State University as their Inclusive Concurrent Enrollment Coordinator. In that role she works with students ages 18-22 from Agawam, Amherst, Chicopee, Gateway Regional, Hampden Charter School of Science, Ludlow, Southwick-Tolland, and Westfield Public Schools. Lyndsey has spoken on topics such as inclusive postsecondary education programs for students with intellectual and developmental disabilities, autism, vocational and alternative school programs, special education transition, computer-assisted instruction, and stimulus equivalence. Lyndsey has two Masters Degrees from Simmons College, one in Severe Special Needs and one in Behavioral Analysis. She is an ABD level doctoral student at the University of Massachusetts Amherst focusing her dissertation research on the development and enhancement of self-determination skills of students enrolled in inclusive postsecondary education programs in Massachusetts. Dr. Tamerat is the Director of the New Teacher Development Program for the Boston Public Schools. In that role she manages and coordinates the work of 250 New Teacher Developers. Prior to that she was a teacher in the Boston Public Schools and led groups of teachers through various school-based reform initiatives, including a comprehensive School Quality Review, preparing for the adoption of the International Baccalaureate Program, and as an instructional coach. She also oversees the Boston Public Schools Teaching Fellowship program, an accelerated initial licensure-granting teacher pipeline for the BPS. Jalene Tamerat has a M.A.T. from Emmanuel College, an Ed.M. from Harvard University, and an Ed.D. from Boston University. She is the author of the book Instructional Practices That Maximize Student Achievement: For Teachers, By Teachers as well as numerous articles in professional journals. Cindy Crimmin has served in both public and private schools for more than 35 years. Beginning as a bilingual Ell and Science teacher in the Boston Public Schools at the middle school level, she has taught Spanish at all levels from early elementary to high school Advanced Placement and was a teacher of English language learners. Her strong interest in curricular design and in improving teaching and learning across the grades prompted her to complete a Ph. D. in Educational Administration at Boston College. That experience led her into administration, where she worked in curriculum leadership at the central office and served as an elementary principal in Watertown and Weston. In each role, Cindy always saw herself primarily as a teacher. Throughout her career, Cindy’s greatest passion has been to encourage student ownership of the learning. A life-long learner herself, she believes that the role of teachers is to give students an understanding of the important ideas and facts that underlie academic disciplines. Equally important are the skills to learn on their own and the belief that their voices matter. Only teachers who are willing to then step back as true “guides on the side” are able to give their students the space and confidence they need to think creatively. It is in that creativity that learning becomes the joy it should be. Finding that joy for her students and for herself continues to drive all that Cindy does. 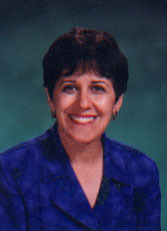 Karen Antonelli is a lifelong educator with over 35 years of experience. Her career began as an English teacher at East Providence High School in Rhode Island where she eventually was appointed English Department Chair. As an administrator, she focused on the importance of literacy in all academic content, as well as in mentoring teachers and fostering best practices in teaching and learning. 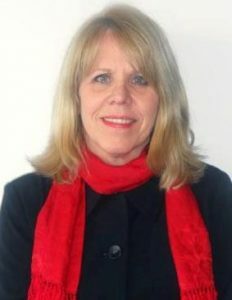 Karen next served as English Department Chair at Durfee High School in Fall River where her role in the District Curriculum Leadership Team afforded numerous experiences in training and presenting best practices for Differentiated Instruction, Language Based Classrooms and English Language Learners. The opportunity to join the administration of Westport Community Schools enabled Karen to serve as assistant principal at the elementary and secondary level and as ELA Curriculum Coordinator for grades k through 12. In this curriculum position Karen worked to develop articulation of curriculum through teacher led teams ensuring continuity of teaching, learning and assessment. 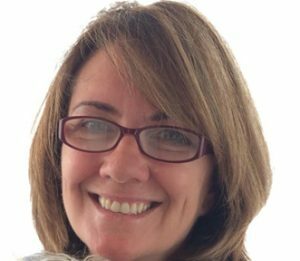 As the district teacher Induction coordinator, Karen taught a graduate course to all first and second year teachers and found it very rewarding to mentor and support the teachers through those first, often challenging years. Karen continues to follow her passion to support and mentor teachers through facilitation of the SEI course and leading professional development initiatives that enhance teacher effectiveness and result in student growth. Nancy has over thirty-five years of experience in the teaching an administrative field. She began her career as a teacher in the Holyoke Public Schools as a History teacher. She pursued her administrative degree at Westfield State University in middle and secondary education. She holds a master’s degree in administration along with a CAGS. Her administrative experience includes Assistant Principal at West Springfield High School, and Principal both at Greenfield High School and Northampton High School. Since retirement, Nancy has worked at Westfield State University an AIC supervising prospective teachers and administrators. She has also worked at Ma. Insights presenting educational workshops throughout Massachusetts, Connecticut and Rhode Island. Nancy’s expertise includes teaching in the standards based classroom and developing classroom instructional leadership strategies. 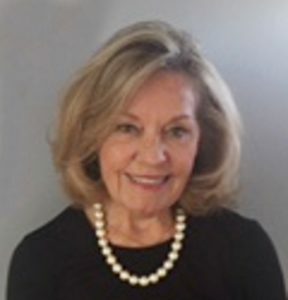 Anne Whittredge has over 35 years of experience as a classroom teacher, arts educator, principal and adjunct faculty at Simmons College in the Educational Leadership Program. She began her career in a Boston Public Schools and retired as an elementary principal from the Needham Public Schools. During her tenure in Needham, Anne was instrumental in beginning the new teacher induction and mentoring program. She also began and oversaw a highly successfully full year internship program with MAT students from Simmons College. A strong believer in urban-suburban educational partnerships, she began two programs. One program brought high school seniors from the Codman Academy Charter High School in Dorchester to Needham, one day each week, to work with teachers in classrooms. The other program linked students and teachers from Needham and Boston elementary schools for shared Science Explorations of the Weir River. At the district level, Anne was active on the Literacy Professional Development team and the Responsive Classroom Implementation Initiative. Anne is currently an adjunct faculty member at Simmons College Department of Education in the Educational Leadership Program. She teaches Classroom Supervision and Evaluation and Foundations of Educational Leadership. As a Performance Evaluation specialist, Anne coaches principals in the Boston Public School on teacher supervision and evaluation. She also consults in the areas of school leadership, classroom culture, new teacher support, mentor training, and Response to Intervention (RtI). Anne earned a BA from the University of Massachusetts and an Ed M from Boston University. She received an MBA from the Simmons College Graduate School of Management. Kaitlin Torossian is a New Teacher Developer for Boston Public Schools. She works with novice teachers, as a Program Supervisor for licensure in the areas of Moderate Disabilities and English as a Second Language. She also provides monthly professional development to part-time New Teacher Developers in Boston. Previous to this role, she served as a teacher for nine years, both in Massachusetts and in her home state of Connecticut. She completed an Educational Leadership program in 2014 through Southern Connecticut State University, graduated from UCONN with a Master’s in Curriculum and Instruction in 2007, and a Bachelor’s in Social Studies Education in 2006. Outside of her work, she loves spending time with her husband and two young children.